In hindsight, the mid-’90s were most likely a time brimming with feelings of excitement and vindication for the Wallflowers. 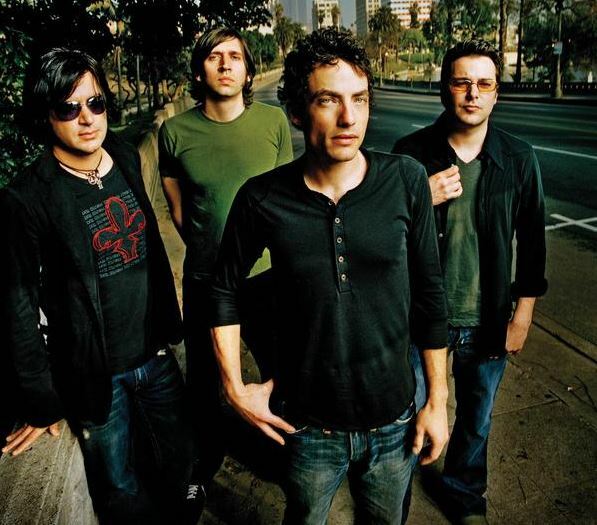 Led by singer-guitarist Jakob Dylan, the Los Angeles-based group was riding a wave of popularity that placed them at the head of America’s roots-rock revival and the heirs (literally) to rock’s ’60s pantheon thanks to the chart-topping success of 1996’s “Bringing Down the Horse.” Overcoming naysayers and industry ambivalence, the album went on to sell more copies than any single release by Dylan’s rock legend father. Surely, many thought the good times would never end. Since then, all hasn’t been positively easy street for Dylan and his sidemen. He starred in a big-deal Coke commercial and the band is still netting opening act duties for major summer tours. However, the group recorded a pair of albums that failed to commercially follow through on their hit record, burning through a handful of band members in the process. Dylan’s musical output — now exemplified by their new record, “Rebel, Sweetheart” — raises a cruel question: Do we really need a new (and less talented) Tom Petty? The ever-present problem with the Wallflowers, and what’s kept them repeating their success, is what’s kept them together for so long: Jakob Dylan. While Dylan namechecks edgier artists like Tom Waits, the Clash and the Replacements as his heroes, his music is imbued with a spirit of playing it safe. His much-praised influences constantly challenge(d) their fans with their new music. Dylan is still penning and peddling the same neo-classic rock slop that he did 10 years ago. In the end, the Wallflowers’ music aspires only to wallow in repetition. While Bob Dylan’s infamous nasally voice is often reviled by the public at large, he has proven to be a more daring vocalist than his offspring. Bob’s voice and mannerisms might not be technically perfect nor consistently pleasing to the ear, but he is always expressive. Dylan’s singing changes from song to song. He never sings a song the same way, always reaching and stretching the words for new meaning. By contrast, Jakob’s voice is the musical equivalent of Old Faithful. Album to album, his singing continues to be very one dimensional, like he’s always trying to sound James Dean cool. It doesn’t matter a song’s tempo or what the emotional content of the lyrics is. Jakob always sounds like a combination of a scruffy, less nasally Tom Petty mixed with a low-intensity Bruce Springsteen. No highs or lows, just consistently blah. It almost seems like Dylan should start hiring himself out to sing during Gap commercials as images of male supermodels posing flashes across the screen. Most of the songs are mid-tempo rockers, and although the band could still be categorized as a roots-rock act, a more apt description for the sound that’s evolved over their past two albums is mainstream rock. Most of the music’s folk and blues antecedents have been purged so as to make it safe for pop radio. As a result of this cleansing, most these songs are thoroughly unmemorable and unremarkable. Tracks like “The Beautiful Side Of Somewhere,” “The Passenger” and “Nearly Beloved” come and go easily. Only intensive listening will help you remember these fellas. One thing to watch out for on “Rebel, Sweetheart” are the songs in which Dylan seems to be writing for someone else. The jazzy, piano-based “How Far You’ve Come” has an uncanny Norah Jones feel to it. And the acoustic guitar plucking of “God Says Nothing Back” is very reminiscent of Radiohead’s “Paranoid Android,” but it shows none of Thom Yorke and company’s inclination for glorious musical schizophrenia. Instead of interrupting the established melody with screwy, guitar freak outs (as Radiohead does), Dylan keeps this song on the boring straight and narrow. Not even the lyrics’ allusions to the imagery of war can keep this tune interesting for nearly five minutes. Also based around a circular, acoustic guitar pattern, “From The Bottom Of My Heart” could be a good — albeit creepy — love song if sung by a more emotive singer. And while the track features a couple of intriguing verses (“not every smile means I’m laughing inside”), there’s quite a few lines that stick out like they were cribbed from an angst-y teen songwriter’s notebook (“crushing skies of grays”). The only truly new aspect of this record is the presence of a new drummer (ex-Gigolo Aunt Fred Eltringham), but even that is all-too-familiar pattern for the group. Besides Dylan, keyboardist Rami Jaffee is the lone original member of the band that hasn’t bolted or been given the heave-ho. If one is to extrapolate what ex-guitarist Michael Ward (remember the guy from the “One Headlight” video with the shaved head?) told MTV in 2001, it’s Dylan’s creative stranglehold on the band that’s behind the frequent changeovers. Keeping such a tight control of the band’s reins means that the Wallflowers’ chances for renewed success rest on Dylan’s talents alone. In the case of “Rebel, Sweetheart,” it doesn’t answer the doubters’ questions about his abilities. It reinforces their suspicions. ©Copyright 2005 by David Hyland. All rights reserved. This material may not be published, broadcast, rewritten or redistributed. Tags: "Rebel, Jakob Dylan, review, Sweetheart", The Wallflowers, Wallflowers. Bookmark the permalink.